To create a static block, login to the backend and go to CMS->Static Blocks. Click Add New Block from the top right. Enter whatever content you want the block to display, I'm creating a free shipping block for the left column. There's a few things to point out here. First of all the <reference name="left"> means that anything within these tags is applied to the left block. 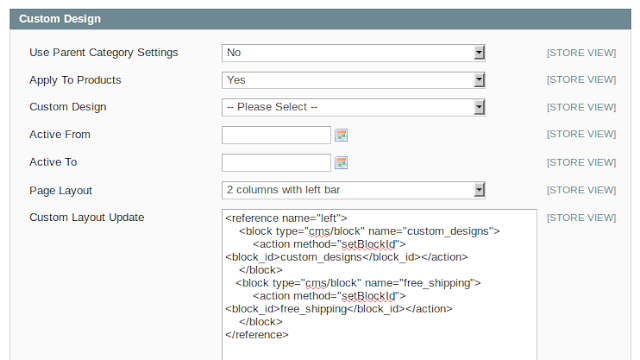 So this will show the block in either 2 column with left bar or 3 column designs depending on your theme templates. For the right block use "right" and main block use "content." Next make sure the block_id and block name are set to the id of the static block created earlier, in this case free_shipping. My setup is as below. I have two blocks in this, to add more simply add another <block></block> element. Finally go into System->Cache Management and refresh the Blocks HTML output cache. That's it, reload your page and there you go! 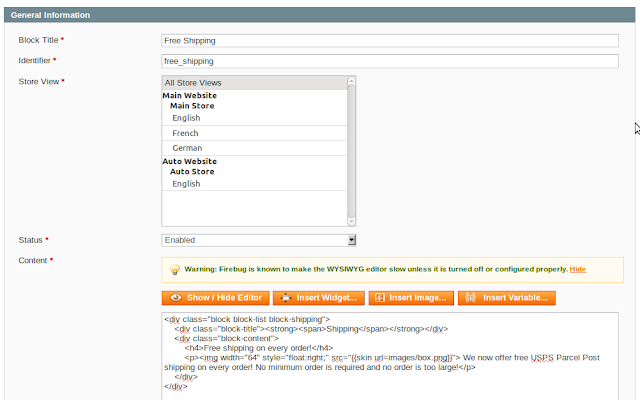 This was done on Magento 1.6.1.0. For some reason this works perfectly and the content looks good in IE and in Chrome in FF for some reason my custom block shows up looking all funny on top of the page and over to the left, Is there a way you can look at what I have? This works perfectly. Thank you!! would this be the same if I wanted an additional banner under the nav only my custom layout refernce should be different? I tried your method in the magento default theme. 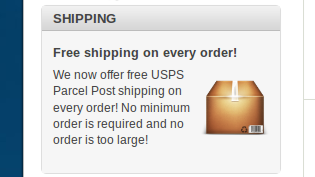 I want to place a free shipping for category SHIRTS. But I want to place it just under Quick Overview. 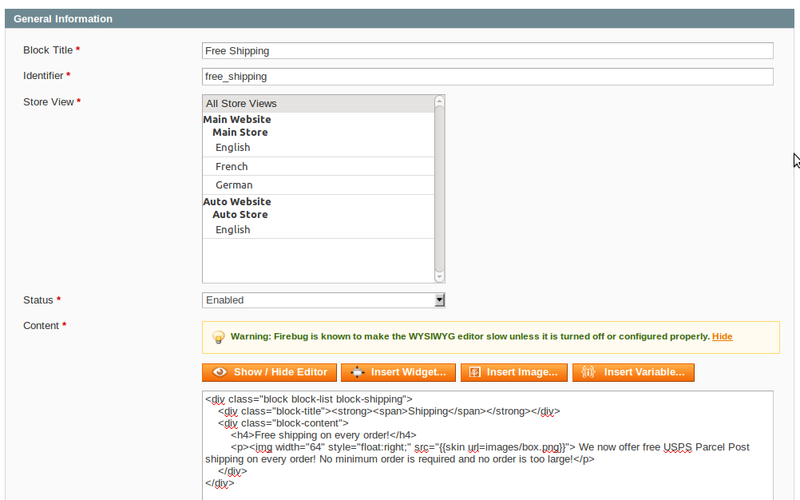 I tried to add the block inside name="product.info" instead of name="content" block,but it seems it does not work. Thanks for your sharing this blog. Many important subject explain this blog.